You must buy a minimum of 9 due to manufacturer packaging. 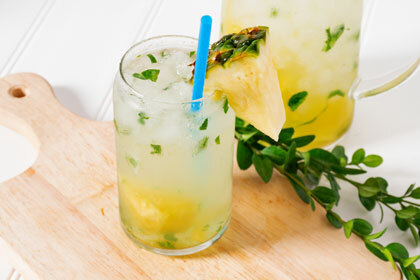 Virgin Pineapple MojitoMake money with our recipes! See how our recipes can help you save money based on serving sizes. We've got all the ingredients you need. No matter where in the world you're enjoying it, San Pellegrino will be sure to enhance your moments! Tastefully Italian! Travel across the globe with San Pellegrino! The unique journey of natural mineral water. At the beginning - a voyage. The water cycle appears, the sun heats the rivers, the oceans and the seas vaporizes to the sky. The water condenses into clouds. Then the rain returns it to the Earth. That is where the story of mineral water begins. Just the small quantity of water seeps into the ground. The contact with rocks purifies and enriches it with mineral salts. 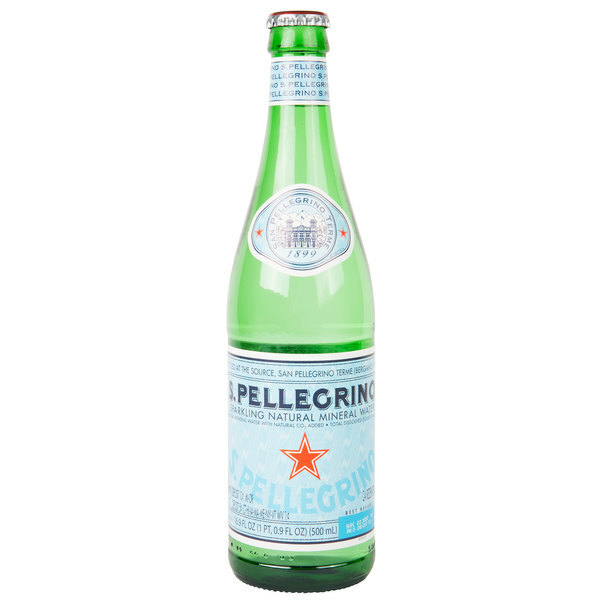 After 30 years underground, a miracle of nature, pure San Pellegrino water gushes out of its source. Every mineral water has its own identity and every drop is a gift. That is why San Pellegrino bottles its water at the source, not to waste what nature has given and to keep the purity of the water in tact. Purity of water. Essential for life. Water is essential for the body and the mind. The human body is made of 60% water. Thanks to its mineral salts, water nourishes and regulates energy balance. To feel good and be hydrated, don't wait to be thirsty. It's best to drink at least 8 glasses of water a day. Because we are made of water. Because water is life. Thanks to this pulsing life, man can imagine and create an extraordinary world. The first San Pellegrino was bottled here in San Pellegrino Terme in 1899. In 1900, it began to travel throughout the world, spreading the Italian culture of excellence and all its beauty. Art. History. Lifestyle. Food. Fashion. Design. Bringing passion and Italian style refinement to the best international tables in more than 145 countries - Italian inspiration around the world. Where ever you are, sharing is the best way to experience authentic fine living. San Pellegrino. Live in Italian. 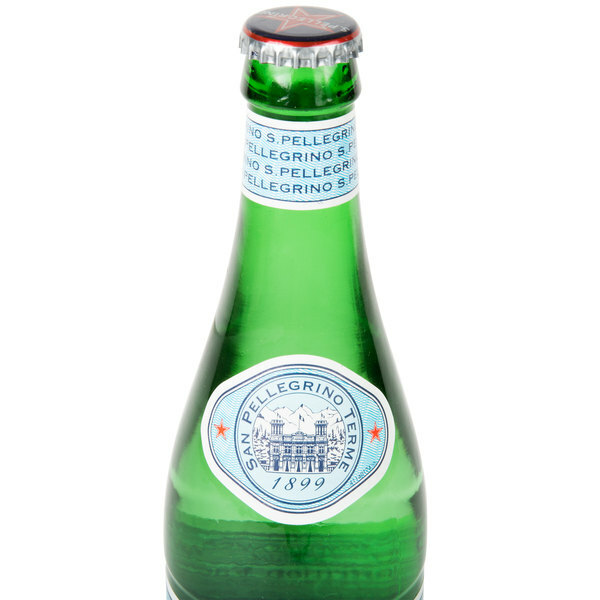 San Pellegrino provides exceptionally fresh water that has a unique journey from beginning to end. 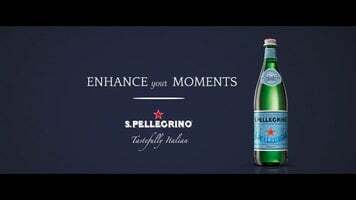 Watch this video to experience and learn more about San Pellegrino's passion for high quality water. 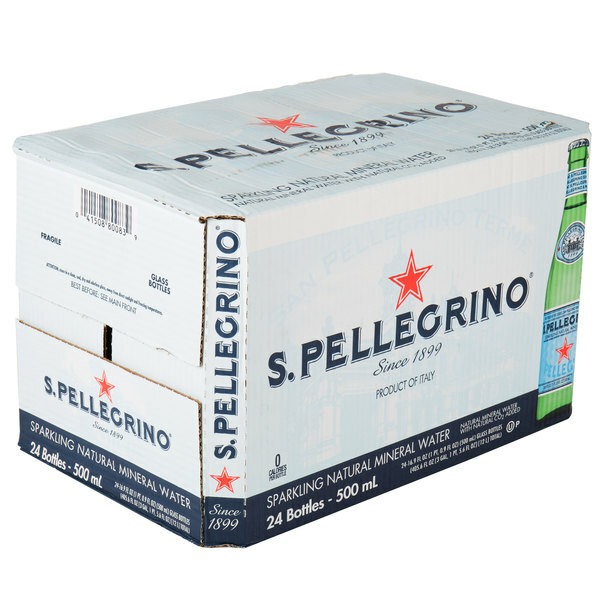 Provide a true Italian dining experience by serving this San Pellegrino sparkling natural mineral water at your restaurant, banquet, or catered event. With its high mineral content, moderate acidity, and smooth texture, this water serves as an exemplary accompaniment to full-bodied wines at your tastings, with your aperitifs, or as a healthy alternative to soda. The CO2 in the water enhances its taste, providing a signature, crisp finish that cleanses the palate and harmonizes the flavors of your food and wine. Serving the right water to complement your food and beverages is essential to enhancing your guests' fine dining experience. 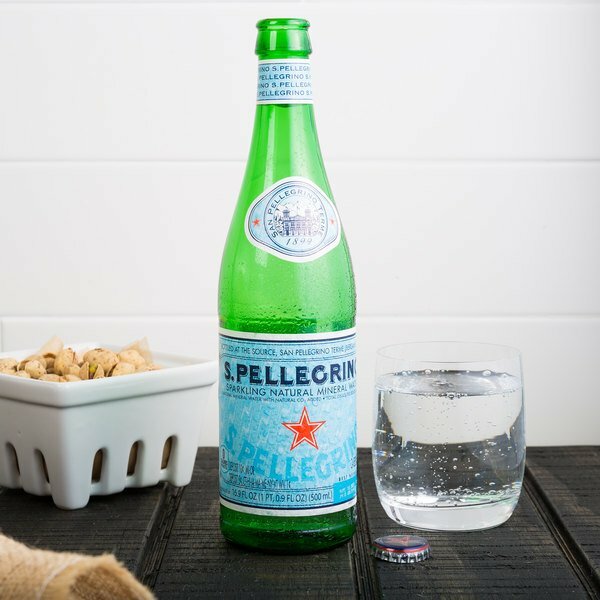 Packaged in an elegant glass bottle, this San Pellegrino water is perfect for placing amid your food presentation for guests to enjoy. 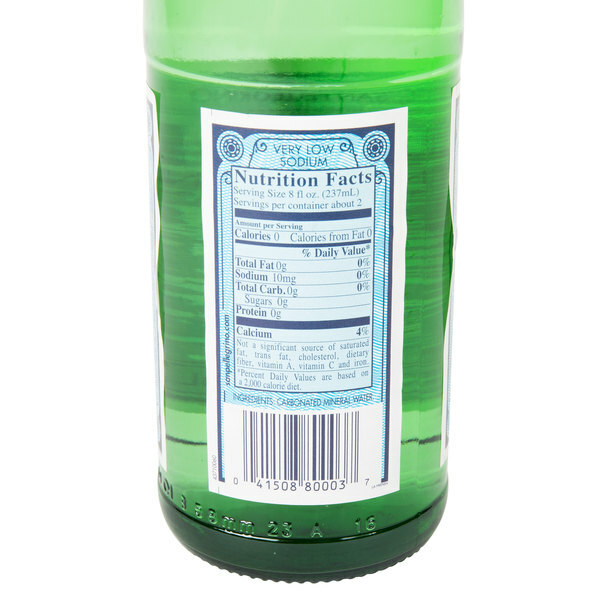 This water carries its own distinctively fresh taste due to its natural filtration process. Flowing from natural springs within the Italian Alps, the water's contact with the rocks purifies and enriches it with mineral salts; by the time the water is sourced, it has been naturally filtered underground for 30 years. CO2 is added to preserve the abundance of natural minerals found in the water, providing carbonation and medium sized bubbles that are sure to upscale your food display. Water from the natural spring located in the Italian Alps was said to be discovered as early as the 1300s, and was thought at the time to provide numerous health benefits to the body. San Pellegrino, founded in 1899, now controls this spring and goes through great measures to preserve its natural quality. The water is bottled directly at the source and must pass several quality control checks before distribution to ensure only the most high quality water is being shipped out. Bring the authentic taste of Italy to your guests and enhance their dining experience in just one sip with San Pellegrino! This item is imported from Italy. 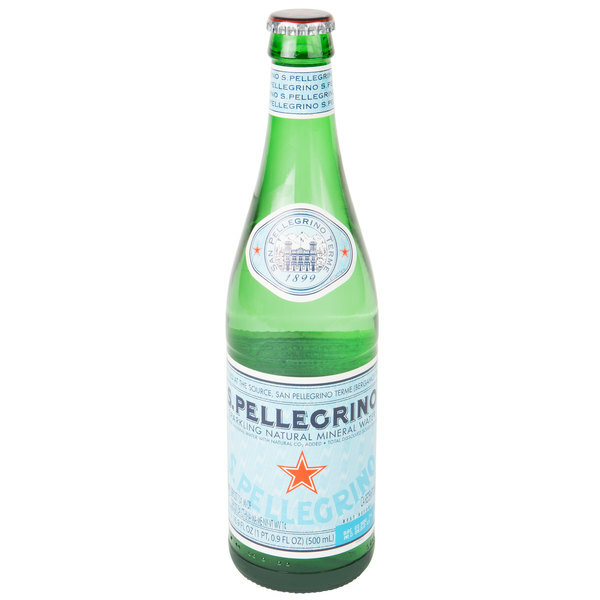 This San Pellegrino mineral water is bubbly and clean. it has a crisp flavor and it is not over powering. one of my favorite mineral waters, best mineral water that is in stores for sure. 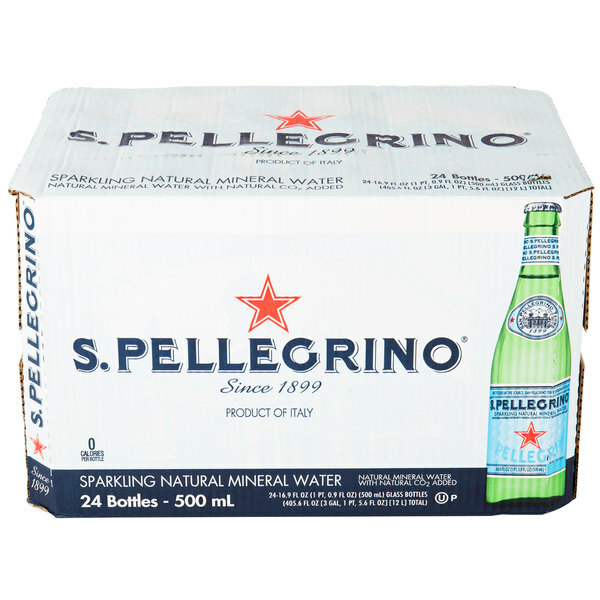 The San Pellegrino sparkling natural mineral water is great and very delicious. The water is excellent for making spritzers and enjoying by itself. A great water to add lime or lemon to.